Sarah was born in New York City, lived for 10 years in Connecticut and then moved to the San Francisco Bay Area in California. She received a B.S. in Biological Sciences from the University of Southern California in Los Angeles in May 2017. 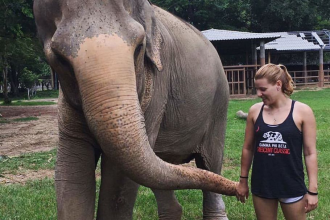 She is currently a veterinary student at the University of Pennsylvania’s School of Veterinary Medicine. At PennVet she is on the executive board for the Veterinary Business Management Association and is interested in small animal general and specialty medicine and zoo/wildlife medicine. 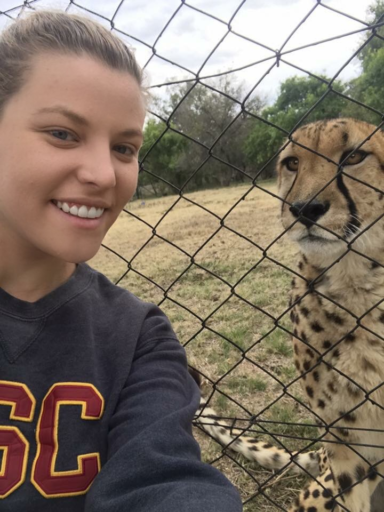 Sarah participated in Loop Abroad’s College Veterinary Service Trips in Thailand during summer 2016 and South Africa during summer 2017. She has worked in multiple small animal general practice, emergency and specialty hospitals in California over the years. Before this, she was a swim coach for 6 years with her local summer league swim team and volunteered with Jake’s Wish Dog Rescue. Sarah’s parents are immigrants from Argentina and Denmark so she has been traveling around the world to visit her extended family since she was only 3 months old. She loves to travel, experience new countries and cultures, and meet new people. It is her goal to visit all 7 continents and she only has 2 left!